Android Eco-system is rich in apps and most of the devs like to release their apps / games in Google Play Store. So, there may be lots of reasons one would like to run Android apps on Windows PCs. This becomes possible because of availability of many Android Emulators for PCs. In this article, we are sharing our list of top 9 Best free and most popular Android Emulators for Windows 7, 8.1, 10 PCs and MAC. Have a look at all the Free and popular Android Emulators for PC and MAC. It is one of the most popular Free Android Emulators out there. It runs Android Marshmallow as compared to many other Emulators that run up to Android Lollipop. Remix OS Player is the only Android emulator that allows you to play multiple games at the same time. It supports very efficient multitasking. It supports Windows 7, 8.1 and 10. It also has support for many hardware configurations, but doesn’t support AMD processors. You may have earlier heard about Bluestacks most of the times, when it comes to emulate Android on PC. This has been for long the most popular Android Emulator now challenged by some very worthy options covered in this article. It supports multitasking apps and is very stable after many updates, being out in market for long. It comes for free with optional $2/monthly premium subscription. 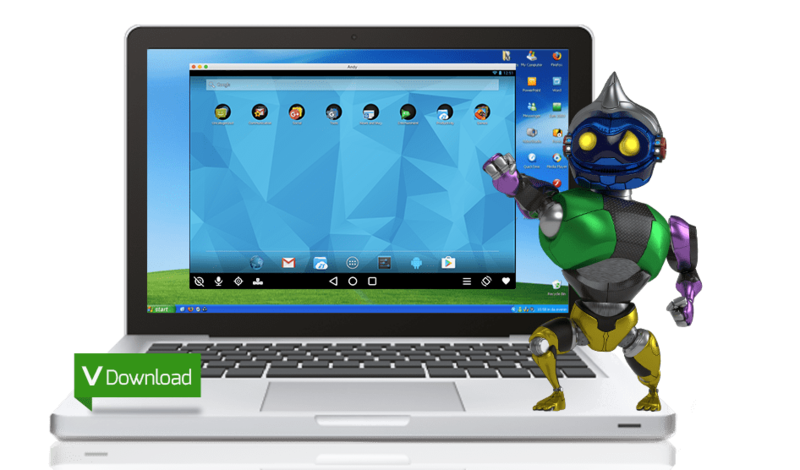 One of the most popular and widely used Android Emulator for PC and MAC is Andy. It is free and supports apps, games, launchers and even root access. It however doesn’t support Windows 10. This Emulator comes with add-ons that makes it bit more interesting than many other Emulators. It has an app that can be installed on mobile phones. You can then use your smartphone to control games on your PC. Windroy is an extremely Stable emulator , that is run on Windows kernel. Because of its ability it makes a computer feel as though it were running the same system that is normally run on a mobile device. This makes it easy to install both apps and games on computers that would not be able to otherwise be installed. It is a powerful and free Android Emulator that can easily become your first choice for running Android games. It can help you download apk files from Google Play Store and run Android apps on your Windows PC. It built on x86 Architecture, support advanced features like OpenGL & hardware acceleration. It can be counted among one of the very best Android Emulators. It is very popular and has many controls that makes gaming more fun while using it. It works on Windows 7, 8.1 and 10 and also MAC. It is however based on Android 4.4.2.